In this article, I'm providing in-depth technical tips for experienced polyurethane slab lifters. If you're new to slab lifting, you may want to start by browsing the Lift Slabs topic to find more basic articles on the subject. As always you can call us with any questions at 404-618-0438. 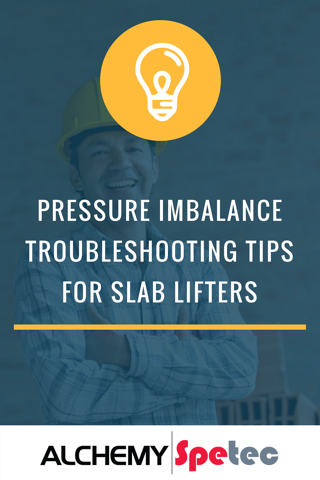 For the rest of you, let's take a look at some pressure imbalance troubleshooting tips. Making good foam is all about temperature and pressure. Sometimes there are issues that cause a PMC Proportioner or a Graco Reactor to get off ratio on pressure. Graco machines will throw an E24 code requiring you to go to the pump and pressure it back up again. A PMC machine with pressure imbalance controls will also stop the machine and require a reset. Sometimes this will happen once or twice when getting going in the morning and then the issue clears up. Maybe the gun had a few particles in it that needed blasting out. Other times, the pressure imbalance is persistent and you need to figure out what to do. Consider what information you have. When you do a test shot is the material dark in color or very clear in color. With AP Lift products, the B side is always nearly clear and the A side is dark brown like coffee or tea. If it is coming out clear, or very light, there is a restriction on the A side somewhere. Inside the rig you should also see that the A side pressure gauge is reading well above the set pressure and the B side gauge will probably be reading very little pressure if any. This means A is blocked and not getting into the mix. The restriction is most commonly in the gun on the A side injector or A side check valve. This will be your most common pressure imbalance situation; A side restriction due to the nature of the ISO chemical. If the opposite situation occurs (A side flowing freely while B side is restricted) follow the same steps to check for restrictions inside the gun. As always, wear safety glasses and gloves when checking and working around this equipment. Use proper depressurization steps of the system before performing gun cleaning or maintenance. The gun restriction on the A side is most common for slab lifters. If it’s not the gun, what else can be going on that may cause pressure imbalances. I am not a master Graco or PMC technician so I always check the easiest stuff first. Is the air compressor running? Sometimes an electric air compressor will shut off and you can’t hear it over the noise of the generator. Possibly a low oil indicator because the rig is on a slope or, it’s low on oil. Is the material in the drums too cold? We recommend keeping the A side and B side above 60F. B side is much thicker than A side and if the material is too cold in the drums, the drum transfer pumps can’t effectively push the thicker material over to the reactor / proportioner. Are all the air lines connected to the transfer pumps? Are all the fluid valves open? If the gun was disassembled and put back together, were the check valves installed in the correct direction? How about the hose heat and primary heaters? Are they still on? PMC machines have a breaker on the hose heat transformer. It trips every once in a while and you will lose hose heat and not know it until you start having imbalance issues. Graco machines that throw an E24 code require the heaters to be turned back on by pushing the panel buttons. If you forget then you will have pressure imbalance issues at the gun because the material thicknesses / viscosities will never be equalized. Check the wye strainers at the proportioner / reactor. 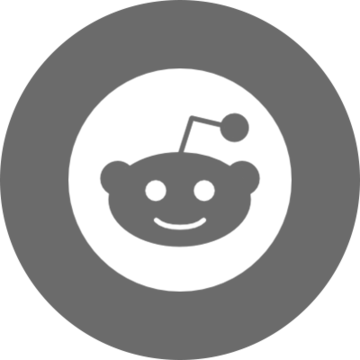 This needs to be part of your weekly / monthly PM. If you have imbalance issues and other steps do not reveal the issue, disconnect the air lines to the drum pumps, shut the fluid valves off, and remove the plug from beneath the wye strainer. Have a small pail beneath to catch material; it will not be that much. When you remove the plug a cylindrical screen will slide out. If it is clogged with particals this could be the problem. Clean with a small brush and solvent. This sounds obvious but make sure the valves on the proportioner / reactor are in the same direction. If one is in recirc mode and the other is in spray mode you will surely have an imbalance issue. Are the ¾” bungs on the drums (A and B) venting properly either by being open or via a desiccant cartridge. If none of this resolves the issue it may be time to call technical support. They are going to ask you if you have already checked the above listed steps so you might as well save time and check the items first. Usually you will find the issue. A technician will ask you some more questions and perhaps ask you to send a short video clip of the machine gauges as it is pressuring up and as it is trying to spray. This information is vital to figuring out the problem. Maybe there is a restriction or blockage mid way through the hose. Maybe the temperature sensing unit towards the end of the hose is not reading correctly and needs to be checked. Worse case, maybe there is a restriction or small particles causing the main pump line assembly to lose pressure. Give one of us here at Alchemy a call and we will try and walk you through some steps. If we cannot figure it out, we can direct you to our technical experts with PMC and Graco that we work with weekly. Want more information on slab lifitng?